The big day is finally coming that we elect our next president, with early voting already taking place soon we will have a new commander and chief. Obama? or Romney? who will you be voting for? Jordan Brand decides to drop a Jordan Retro 1 High that brings inspiration from the upcoming election day. The shoe features a crackled elephant print toe box and back, blinding in a navy fabric upper. Red white and blue is clearly the color to go with but also peep the insoles one features both parties logo's the elephant and the Donkey. Look for these to be dropping at your local Jordan Brand retailers soon. GO VOTE! The releases are coming at us fast, so try to keep your pockets lined as much as possible. Next month brings alot of heat that we have been waiting for and more of the kilroy pack retro 9's are still scheduled to drop. Here we give you another look at the Calvin Bailey 9's from the pack dropping next month. We see a similar Laney like color theme to these which wil draw any Jordan fan to them. Where do these rank on your kilroy pack 9 favs? Next month plans to be a huge month with many New and Old Jordan's coming our way. One of the if not the most anticipated one will be the Jordan 9 Olive colorway. This colorway is a OG classic that was last seen in 2003, its been a while since this beloved colorway has been release and we will soon see another drop. Where does this retro rank on your November drop list? Check out the latest pictures of the Jordan Retro 9 Olive. Jordan Brand already Working magic for Ray Allen!!! Ray will be Wearing this special XVI in his debut game with the heat. Same colorway as Lebron's 10's that we previewed earlier that Lebron will be wearing, this is only a sign of the amazing PE'S Jordan Brand has in store for Ray Ray. How do you feel about this colorway?.......Could we see a return of te XVI next year? Stay tuned to TCC For any info if so! After we initial debuted the White Camo Foamposite more images started to surface. Today the best images so far have come about. As we see the back tab features lightning bolts as well as on the front of the tongue. 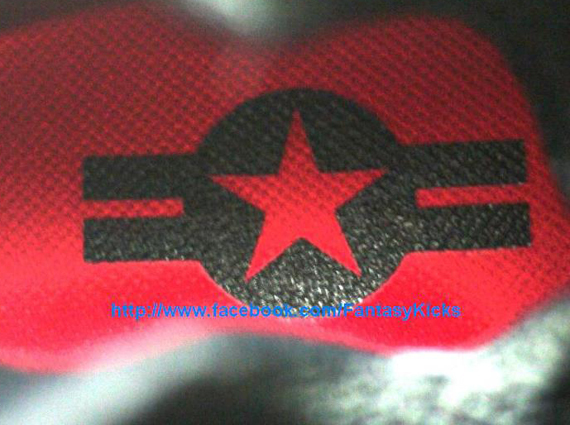 We also see the words danger inscribed on the sides, and a Air force insignia on the insole. Could this possibly be the ASG version for Houston Games? Stay tuned for more info on these. Colorways of the Lebron 10 seem to be rolling in everyday now. With the prism being previewed yesterday, today we get a look at another eye catching color. This pair has the words champ on the inner ankle assuming Nike made these for Lebron finally getting his ring. How many more championship shoes will Nike make. Are they milking this ring thing? Stay tuned Lebron probally will be wearing these tonight in the heats home opener against the Celtics. Nike and Oregon Health & Science University Doernbecher Children’s Hospital are proud to unveil the 2012 Doernbecher Freestyle Collection, a unique collaboration that empowers patients through design to benefit the hospital. Each year, the now ninth annual Doernbecher Freestyle Project partners Nike designers and developers with OHSU Doernbecher patients who have battled serious illness to create a shoe that is unique to each patient. The kids, however, are the real designers for the Project — they decide the colors, materials and details for each shoe to reflect their individual stories and personalities. Recently showed you a weird Spiz'ike colorway that we dubbed Ketchup & Mustard . Now another colorway for the ladies has popped up. Features 2 different shades of purple and a grey suede upper. Not sure exactly when this particular pair will drop but we are sure it will be around the same time as the Ketchup and Mustard pair. Stay tuned for more upcoming info on this particular pair. How do you feel ladies? We just brought you pictures of the upcoming Foamposite One White Camo that is rumored to be super limited we now bring you more images of the upcoming release. At this point we are not sure how many pairs and exactly the meaning behind this particular pair of Foamposite but when we get more info on this release we will share it with you. For now get a look at what could out due the Galaxy's and ParaNorman foams on top of the foam list.